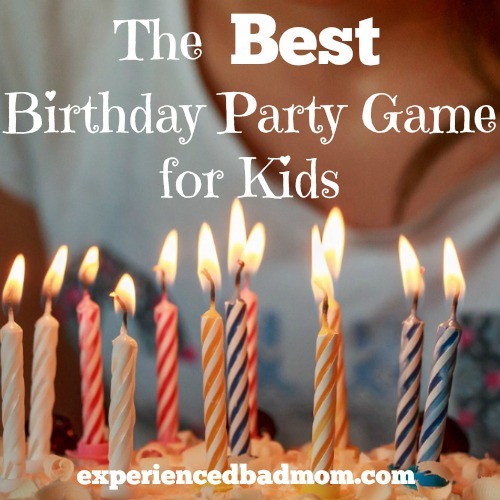 Want to know what is the best birthday party game for kids? One game is hands-down the best birthday party game for kids. There is nothing or very little to prepare. There are no prizes. Heck, there aren’t even any winners. Which means there are no hard feelings to soothe when someone doesn’t win. 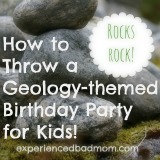 Yet it is truly the best kids’ birthday party game I’ve ever seen. It is loved by all, as I can attest from playing it at 3 different parties, with kids of 3 different ages (6-, 7- and 8-years-old), with 3 different groups of kids. I’m not even sure what to call it: Pass the Potato, Hot Potato, Pass the Present, Musical Presents. Have the kids sit criss-cross applesauce in a circle. The birthday child begins holding an object to pass. The object could be a stuffed animal, ball, or even a potato. It could be something to do with the party theme – or not! The children pass the object around the circle until an adult randomly stops the music. Whoever is holding the object when the music stops gets to bring his or her gift to the birthday child. The gift-giver returns to his or her seat in the circle and the birthday child opens the gift. When that gift has been opened, start the music again. Pass the object around, stopping the music until every child gets a turn to bring his or her gift to the birthday child. Playing this game avoids the dreaded gift present rush–that stampede of kids pushing and shoving while trying to bring their presents to the birthday child. Because everyone is sitting in a circle, everyone can see. It can also be played for as long or as short as you’d like. One year we needed to s-t-r-e-t-c-h it for 20 minutes and the 5- and 6-year-olds happily played it that long. We just kept the music going longer between turns. See? Easy, cheap, effective and FUN! It really is the best birthday party game for kids. Do you have a favorite birthday party game?